It’s coming: the cleaner fuel mandate. The International Maritime Organization’s (IMO) o.5% sulfur cap hits in 2020. Carriers know their fuel costs are about to jump. Shippers know they’ll in some way be paying more on imports and exports to help cover those costs. Obviously, shippers never like to see the cost of shipping increase, but analysts are predicting a result from the fuel mandate that shippers will absolutely hate. “Analysts predict that the impact of IMO 2020 will mean slower ships and more transhipment,” Mike Wackett writes in the Loadstar. Slower ships isn’t really the biggest deal. It increases transit time, but over recent years, slow steaming has been a common enough practice from carriers to reduce costs by burning less fuel on sailings. Slow steaming can increase voyage times across the ocean by three or four days, but that’s nothing compared the kind of delays transhipment can create. What Is Transhipment and Its Risks? Transhipment, sometimes spelled transshipment, already happens all too often in ocean freight shipping. Simply put, transhipment is when cargo is transferred from one ship to another instead of being taken by one ship from port of origin to port of destination. Of course, what really happens with transhipment is often not so simple. Transhipment adds extra ports that the cargo actually hits the docks of between the port of origin and port of destination for cargo. 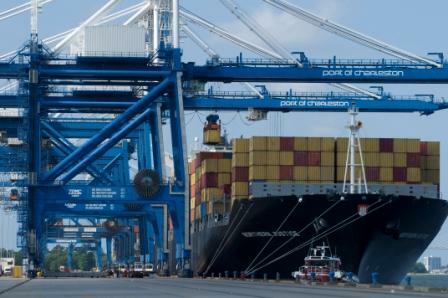 Cargo tends not to be directly or immediately loaded from one cargo ship to the next. Instead, it tends to wait at the port, possibly getting moved around between holding areas, for whatever ship it will get loaded onto next. Transhipment increases the risk of damage or loss to cargo. It also has a tendency to very significantly and unexpectedly delay cargo from reaching its destination. 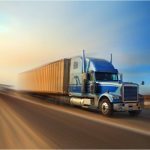 Because carriers are often not very transparent with their operations, shippers often don’t even know transhipment is happening to their cargo. Carriers leaving them completely in the dark, shippers often know neither how long their cargo will be waiting for the next ship it will be loaded on nor even what port the cargo is waiting at. Shippers can feel like their cargo just disappeared. Chris Dupin wrote an article in American Shipper about Drewry, the maritime research company, predicting slow steaming and transhipment to increase. Drewry said fewer direct port calls will result in greater need for transshipment and feeder operations. Research “shows that in the past there is a reasonably high correlation between incidences of transshipment globally (as a percentage of total port throughput) and bunker prices,” [Drewry] said. The quick summary: higher fuel costs, fewer direct port calls, more transhipment. 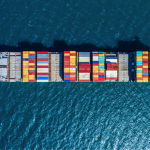 Shippers want more reliability and transparency from carriers, which have not provided either very well with their traditional handling of international ocean freight shipping. 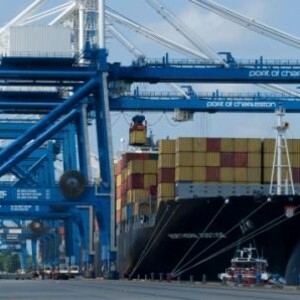 Unfortunately, 2020 is setting up for carriers to take a step back in both areas, as transhipment tends to decrease both reliability and transparency. Combining increased transhipment with even more slow steaming means 2020 could see significantly slower delivery times on the import and export of goods. Drewry’s prediction of slower ships and more transhipment sounds like a warning to shippers. However, carriers should be warned too. Charging more for worse service is not good business. Businesses that struggle with profitability, as carriers have over the last several years, can’t afford bad business.